It’s no secret added sugar is bad. Not only is it harmful for those with insulin resistance, but the additional calories in sugar-filled junk foods is one of the main drivers of obesity and tooth decay. This is why sugar-free alternatives, such as diet drinks and artificial sweeteners, became so popular so fast. They are certainly an improvement, but new research shows they still rot your teeth. In this recent study (PDF) by the Oral Health CRC, researchers found that artificial sweeteners can drive the same level of tooth decay as sugary products. This is because of the pH level (or acid content) of food or drink, which ranges from 0-14. A score of 7 is considered neutral, higher than 7 is alkaline, and lower than 7 is acidic. Most soft drinks, sports drinks and flavoured mineral waters are acidic in nature, with the pH around 2.5. As a comparison, the pH of stomach acid is about 2 in order to digest food. But sugar-free products are highly acidic too. By dissolving 1 gram of sugar-free foods— including three artificially sweetened soft drinks— into water, researchers found they produce a cocktail of acidic compounds. These includes fumaric acid, malic acid, phosphoric acid, citric acid and tartaric acid. These acids decrease the pH of our saliva, which softens and breaks down tooth enamel. 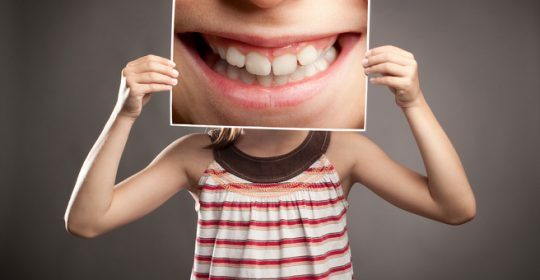 With our protective tooth enamel weakened, our teeth decay. Artificially sweetened can be a good alternative to full-sugar foods, but they are not without their own problems. Besides likelihood they will rot your teeth, sweeteners also ruin the balance of healthful bacteria in your gut, which leads to loads of additional problems. Much like all other junk foods, sugar-free products should not be an everyday addition to your diet. Have you been using artificial sweeteners? At Darwin Dietitians we can advise you on the safest varieties, as well as healthier and more natural alternatives. You can call us on 08 8927 3700 or simply enquire here.